It may sound a bit incredible but here is the trick that we encourage you to try. 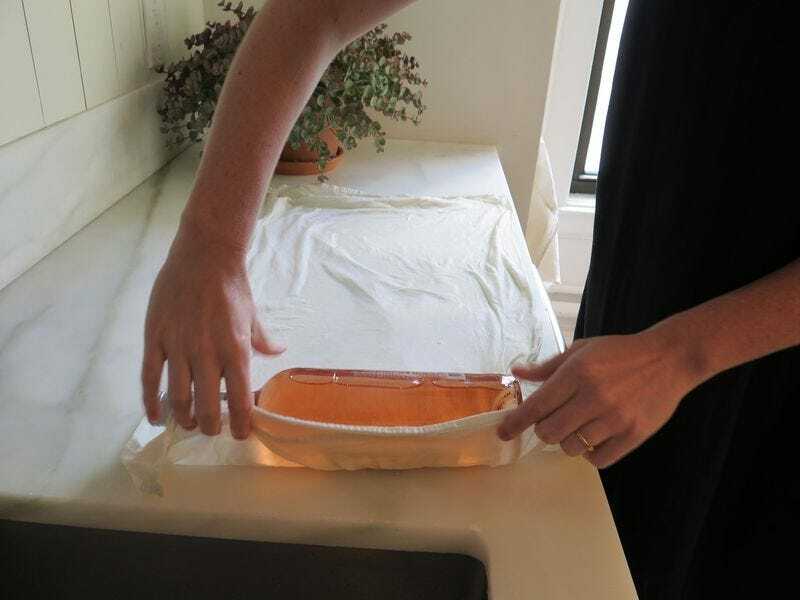 Wet a bunch of paper towels or a dish towel available in your kitchen, wrap your warm or room temperature bottle of wine in them, and then stick it in the freezer for seven minutes. Seven minutes later, take it out from the freeze and unwrap the half-frozen paper towels from the wine bottle. What you get is a little bit cold wine bottle. 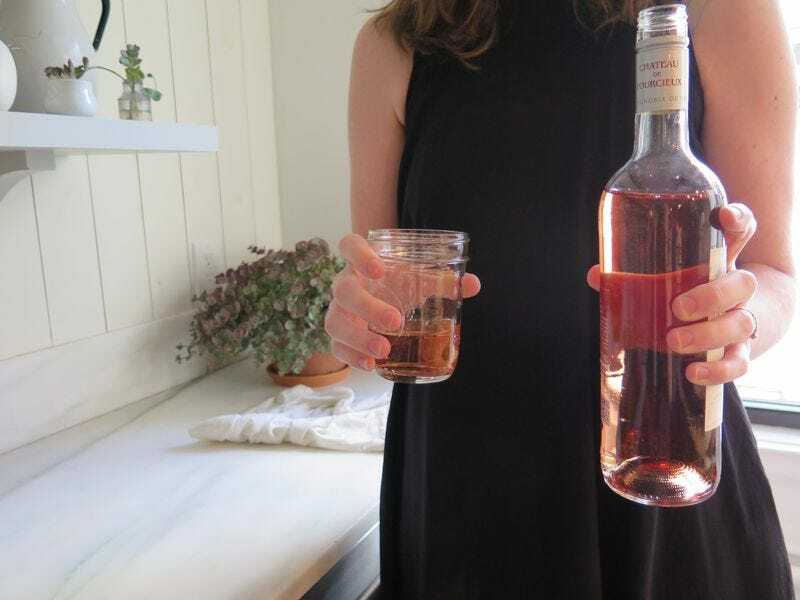 But then the theory is that this trick seems to work much better for a normal bottle of wine (750 milliliters), but a liter takes double the time — 14 minutes is pretty darn drinkable. b) get it sopping wet — try not to wring the water out out it! After all, you will get a drinkably chilled wine, not cold, and infinitely more enjoyable than it would have been seven minutes earlier.